If you were to add up the number of hours spent driving in circles looking for a parking space, it will likely produce an extremely depressing figure. Market research analysts Frost & Sullivan recently revealed that European drivers spend over four days every year searching for spaces. That's a city break wasted on parking the car. Depressing indeed. But there's good news, as traffic data experts Inrix, which already supplies BMW with traffic flow information for its sat-nav systems, has developed an innovative service that aims to relieve parking-related stress. 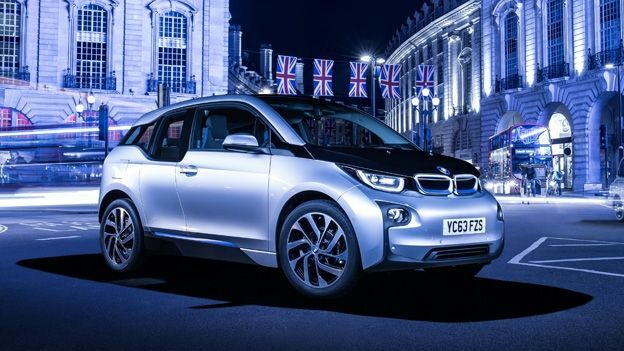 Due to appear on forthcoming BMW ConnectedDrive infotainment systems, the On-Street Parking facility vacuums up data from local parking transactions, real- time traffic probes and connected parking meters to create a colour-coded map of the area's least congested parking spots. Drivers can overlay this information onto the sat-nav map, so it displays a red hue on busy roads that are best avoided and a neat green marker on the roads with ample on-street parking. Alternatively, drivers can request navigation to local off-street parking facilities, as well as receive information on opening times and pricing. Better still, Inrix On-Street Parking will also beam restriction and permit information directly to the system so you don't triumphantly find a spot only to discover you require a resident's permit. Bryan Mistele, President and CEO at Inrix, believes this is another step towards fully autonomous vehicles and connected cities. “What good is an autonomous vehicle if it can't find a place to park after it drops you off?” he said at a recent conference. The service will initially be available in Seattle, Vancouver, San Francisco, Amsterdam, Cologne, and Copenhagen, with the company rolling out a further 23 cities by the end of the year.